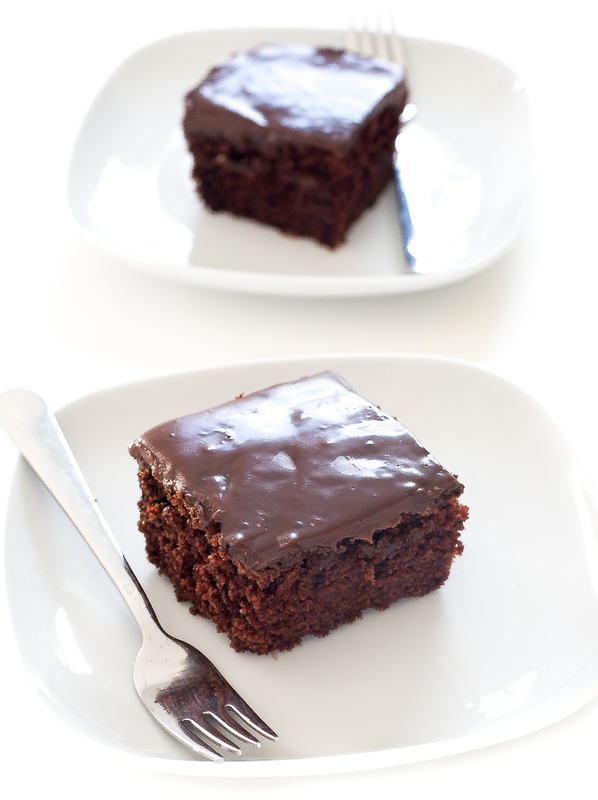 Easy Everyday Chocolate Cake. 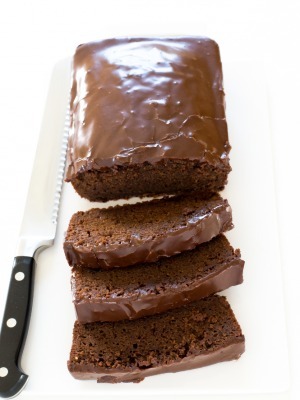 A rich chocolate cake made in a 9 x 9 pan with easy ganache frosting! 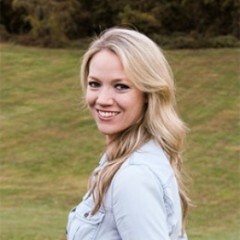 Thank you Braun for sponsoring this post. All opinions and text are my own! Who doesn’t need a recipe for an Easy Everyday Chocolate Cake. This recipe is perfect when you are craving something sweet and are short on time. This recipe is similar to my Best Chocolate Cake Recipe. I add coffee to the batter to amplify the chocolate flavor. I also like to use good quality cocoa powder. It makes all the difference. I top the cake with a simple ganache. I whisk heated cream and semi sweet chocolate chips until smooth. Pour on top of the cooled cake an enjoy! 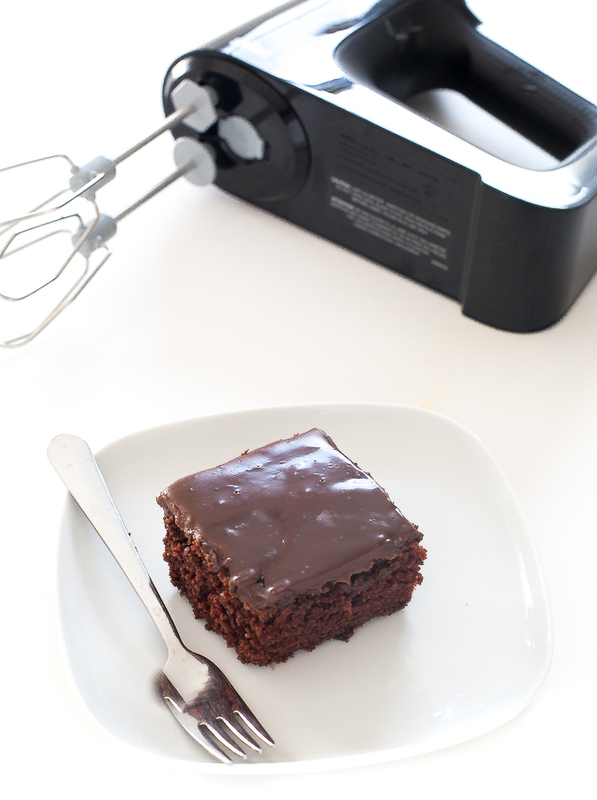 To save even more time on this cake I used the New MultiMix Hand Mixer by Braun. It’s premium in-line vertical motor keeps the weight directed into the bowl, offering less stress on your hand while mixing making it easier to mix with one hand. The mixer also includes two stainless steel beaters, dough hooks, storage bag and an extra-long cord for added mobility. Giveaway ends November 31st 2018! 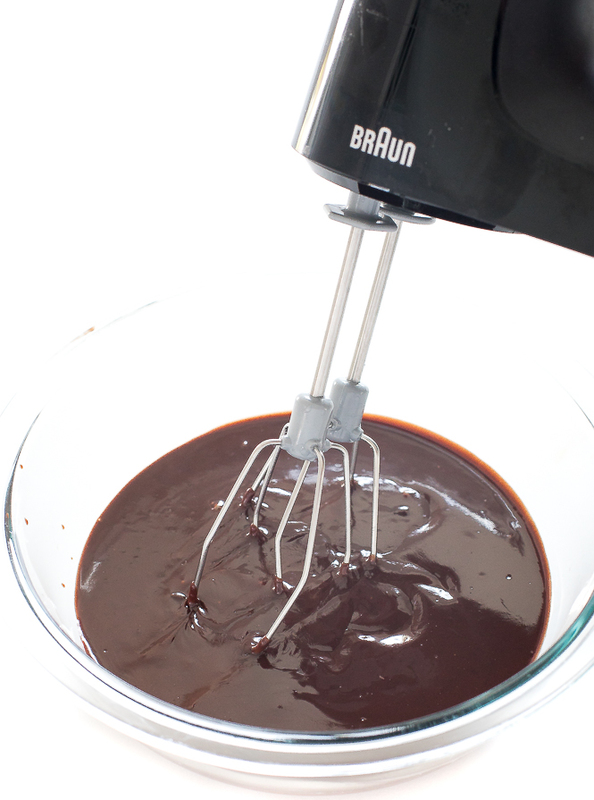 You can also get 20% a Braun Multi Mix Hand Mixer until 11/6! Preheat your oven to 350 degrees. Grease a 9 x 9 pan with nonstick cooking spray and set aside. In a large bowl combine flour, cocoa, salt and baking soda. In a medium bowl combine both sugars, vanilla, vinegar, oil and coffee. Add the wet ingredients to the dry ingredients and stir until just combined making sure not to over mix. Bake for 30-40 minutes or until a toothpick inserted into comes out mostly clean with only a few crumbs. 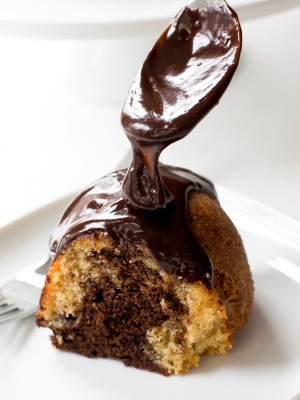 Allow the cake to cool completely before frosting with the ganache. Once the cake is frosted I find it easier to cut when the ganache has time to harden a bit so I put it in the fridge for an hour before slicing and serving. Whisk chocolate chips and warmed heavy cream together until melted. When will you post the announcement on IG? Or did I miss it? Thanks.